Foundation damage can significantly devalue a house if it's not properly repaired. Foundation damage may also impact selling a home. Homeowners who can identify foundation damage in its early stages can often get their foundation repaired by an expert. If you're a homeowner and you think you might have foundation damage, here's what you need to know. 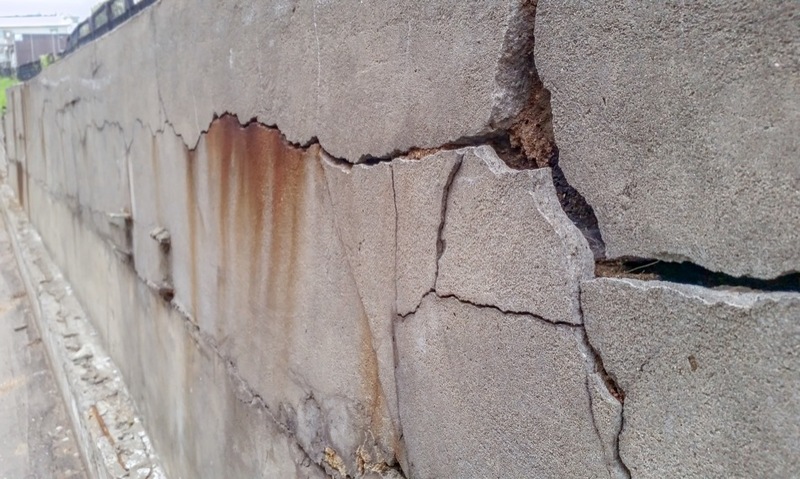 Before contacting an expert to diagnose your problem, know what foundation damage looks like. This type of problem can take many forms, depending on the type of foundation problems that the home is experiencing. Look for cracks in the foundation wall on the home's exterior and in the basement. Cracks from foundation damage usually assume a stair-step shape in the mortar. Horizontal cracks are also a point of concern, especially if they're a quarter of an inch wide or wider. You may also see some cracks leading from the top of the doors and windows toward the ceiling. When a house starts to settle in undesirable ways, this can cause doorframes and window frames to warp slightly. Stuck doors and windows are an indication of foundation damage, especially if the windows once worked well and have since stopped. Sometimes foundation problems cause floors to become slanted. Homeowners can sometimes see evidence of this by putting a marble on the floor and watching it roll. Other times homeowners can see that the floor is uneven by comparing the slant of the door to the slant of objects around it. Bowing walls are another indication of foundation problems. This may be seen from the outside of the house, or can sometimes be viewed in the basement. Homeowners who believe they have a foundation problem can confirm this by working with a structural engineer. A good structural engineer can diagnose the problem and may work with a contractor to get the repair completed. The average cost to get foundation repair done is about $4,000, but some projects can cost much more. Homeowners on a budget can save money by contacting different contractors and getting multiple quotes. However, it's important to stay away from contractors who promise amazing results for too little money. Getting references can help ensure that the work is done properly. Foundation damage can cause serious problems for homeowners who choose to delay repairs. If repairs are not completed in a timely fashion, the problem could get worse. In addition, presence of a foundation problem could hinder future upgrades and home improvements. Some foundation problems can even be dangerous, and may lead to the destruction of the house. Once the house is fixed, it's important to hang on to the paperwork that certifies the repair was complete. Since the value of the home depends on the repair, this could become necessary if the homeowner ever decides to sell. If you're a homeowner who would like to sell your Georgetown TX home that has had foundation damage in the past, work with an experienced real estate professional. Your real estate professional will be able to talk to you to let you know whether your previous foundation problems should be disclosed, and if so, the best way to make that disclosure.